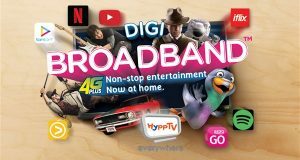 New Digi Broadband plans are priced RM30/month for 6GB, RM60/month for 20GB or RM100/month for 50GB. Free streaming on Spotify, iflix, Apple Music & more. New Digi Prepaid Live pack comes with 8GB monthly video/music streaming data for life. Cost RM12, pre-loaded with RM8 credit. Digi Smart Prepaid now comes with 2GB weekend Internet, for life. That's a total of 8GB weekend Internet every month. Applicable for usage via the Digi 4G LTE network. Usage on Waze is free for U Mobile subscribers, no data chargers. Use Waze at high speed Internet even when your account gets throttled. 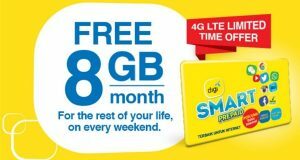 Digi Postpaid 80: 7GBGB Internet, 3GB Weekend Internet, Unlimited Calls to all Network. All at RM80/month. International Roaming with U Mobile Data Backpack: Use your existing postpaid data plan to roam in 12 countries. 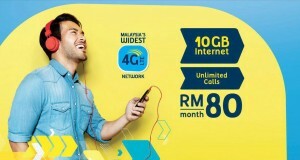 Digi Broadband 100GB and 50GB quota plans. Broadband 145 priced at RM145/month, Broadband 185 is priced at RM185/month. Surf at 4G LTE-A speeds with MobiFi. 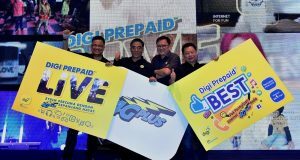 New Digi Postpaid plans for those who wants more calls & SMS or those who wants more SMS. Starts from RM28 a month, no contract, rollover unused quota. 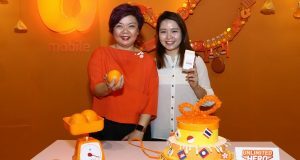 U Mobile announced today that its postpaid plans have been upgraded with more data. Three existing U Mobile postpaid plans are now upgraded with more data. U28 has been upgraded with 3GB data from 1GB previously, P50 to 5GB of data from 3GB, and P70 with 7GB of data from 4.5GB. Telekom Malaysia Berhad (TM) on yesterday announced the introduction of two new Broadband Packages at the request of the Malaysian Government. A new Streamyx 1Mbps plan, RM38 a month (excluding GST) with data usage of up to 1GB available at TMpoint outlets nationwide starting 16 June.